Since Rodrigo Duterte became President of the Philippines two months ago, he has taken extreme measures against drug users. Over 1300 people have been killed in Duterte’s efforts to fight drug use throughout the country. Now, over 160,000 users have turned themselves in due to fear of getting killed. However, people have turned themselves in hoping to receive help to overcome their addictions, but centers are overwhelmed and most people are not receiving much help beyond free weekend Zumba classes. Duterte and President Obama were scheduled to meet in conjunction with an upcoming ASEAN conference, but the meeting may not happen anymore. Duterte stated that he only had to answer to his people, not to President Obama, and he didn’t want to hear critiques of his drug policies. The violent measures have brought criticism from the United States as well as the United Nations and other international actors. Is it the place of the international community to intervene in this situation? Are such intense measures sometimes necessary in order to create such a dramatic change? What approach should Duterte take to combating drug use, if not this? He believes it is good because it’s causing many people to turn themselves in. However, Duterte must focus not just on getting rid of drugs on the streets, but on providing resources to treatment centers so that people can adequately get the help that they need to overcome their addictions. Tough times to follow in the footsteps of Chavez. The current president of Venezuela, Nicolas Maduro, ran into some hostility on the streets. A recent article by the New York Times discussed in depth the rise of government corruption in terms of private wealth and side-operations of officials. With the massive leaking of the Panama Papers, it mentioned a mixture of top European, Asian, and other top government officials involved in these potential investigations and scandals. Among those under fire was interestingly enough, Iceland’s own Prime Minister Sigmundur David Gunnlaugsson, who stepped down this week after connections to an “off-shore tax shelter” caused outrage in the country. Similar outcry has been seen with the UK’s own David Cameron and Brazil’s President Dilma, but given Iceland’s usual reputation of transparency and progressivism, it was admittedly surprising to see them wrapped up in a headline like this. Typically recognized for their openness toward refugees with the Syrian Refugee Crisis or active advocacy for environmental protection, news involving them is not usually negative, except for their economic crash from 2008 linked to the American market crash. With figures like “the Chilean head of Transparency International, a prominent anticorruption advocacy group”, who “was forced to step down after his name appeared in the leaked papers as an agent for offshore companies in the Bahamas” even becoming entangled in corruption cases, it raises the question: who has the real voice or power to address these issues and change the acceptability of such activities? In the case of Iceland it seems that public pressure played a large role in inciting change- does some of that public power translate to American culture and government? Should laws be passed to close some of these legal loopholes to encourage more transparent leadership? For more perspective on this issue see the post Corruption Causes Economic Crashes or read http://www.nytimes.com/2016/04/05/world/panama-papers-explainer.html. 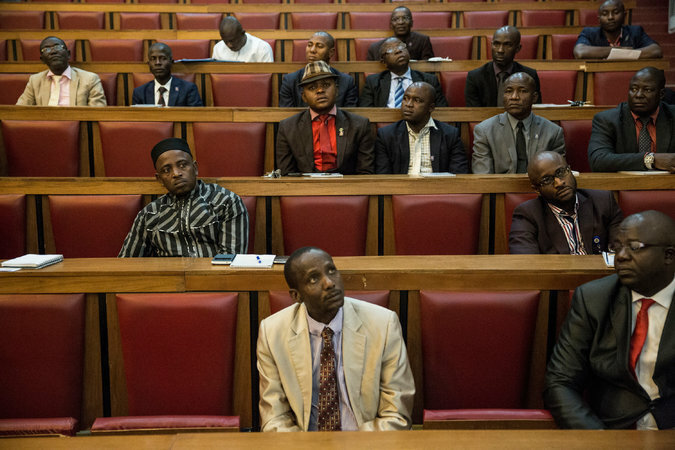 Can corruption be rooted out of Nigeria? The President of Nigeria, Muhammadu Buhari, came to power in May and took the monumental pledge to root out corruption from the country. Nigeria has been notoriously corrupt in previous decades. 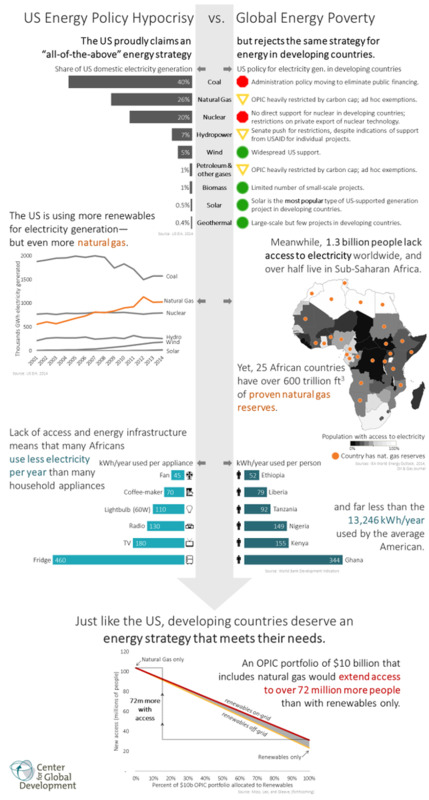 Although the country is the top producer of oil in Africa and generates huge revenue, 68% of the population still lives on less than $1.25 a day. Billions of dollars have disappeared from the activities related to the oil industry. The socioeconomic gap between the poor and the rich is extreme and growing. President Buhari is trying to change that. Part of his efforts have included the recent arrest of two high profile figures – the formal oil minister and the chairman of a Nigerian oil company. The wealthy and corrupt have started to curve their extravagant spending in response to the crackdown due to fear of persecution under the law. As a result, the economy has begun to slow down, especially in Abuja, the capital. It remains to be seen if this will have a directly negative effect on the economic infrastructure. It also remains to be seen if these reforms will last; this information should be taken with a grain of salt. In 1999, Nigerian President Olusegun Obansanjo made the same pledge to fight corruption when he took office. 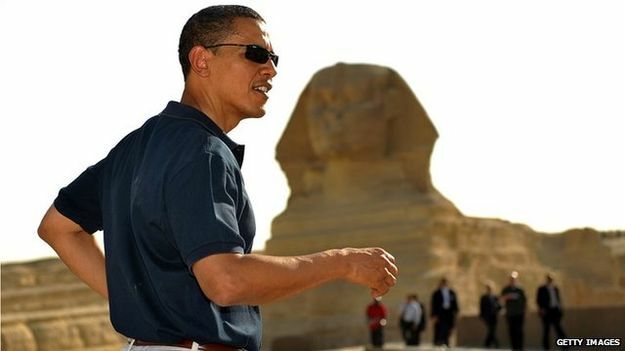 His efforts were impactful towards the beginning, but after a few years the problem returned because “Corruption will fight back.” Corruption is indeed the root of much evil and an underlying cause of almost every problem developing countries face. It must be dealt with, and we’ll see how Nigeria does this time. This past week has seen some of the most widespread violence on both sides of Palestine since the end of the Second Intifada in 2005. Fears expressed by international media as well as several European states – most prominently Germany – foretells the coming of a Third Intifada if both sides don’t reconcile their differences quickly. Very quickly. But in order to understand the signs that mark an Intifada – “to shake” in Arabic, in recent times referring to widespread Palestinian violence taking place over an extended period of time – we must look to the past and examine what started and ended the First and Second Intifada’s. The First Intifada was marred by mass protests to the Israeli occupation of the West Bank and Gaza, lasting from the 9th of December in 1987 to the signing of the Oslo Accords in 1993. On December 9th, 1987, an Israeli Defense Force truck collided with a civilian car, killing four Palestinian civilians. The following six years of protests involved unarmed resistance and civil disobedience, ranging from general strikes, boycotts of Israeli civil administrative authority in Gaza and the West Bank, refusal to pay taxes, graffiti, and barricading all the way to Molotov cocktails targeting Israeli buildings in the occupied territories. Holding true to ten eyes for an eye, an estimated 1,200 Palestinians were killed by the IDF and an extra 800 killed as collaborators through intra-Palestinian conflict. An estimated 160 Israelis were killed during this 6-year period. Thousands more on both sides were injured, with Palestinians absorbing the most injuries. 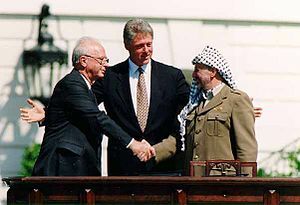 Oslo I Accord: Yitzhak Rabin, Yasser Arafat, and Bill Clinton. The Second Intifada began in September of 2000 with the visit of Israeli Prime Minister Ariel Sharon to the Temple Mount, which was seen as highly provocative to Palestinians who hold the Al-Aqsa Mosque residing on the Temple Mount as the third holiest place in Islam. Palestinians demonstrated against the visit, throwing stones at police, who in turn responded with tear gas and rubber bullets. The following five years featured suicide bombings, with Israeli responses to these attacks becoming more and more severe – ranging from tanks to gunfire to air strikes targeting suspected provocateurs and supporters of the Intifada. The death toll is estimated to be around 3,000 Palestinian casualties, with the Israelis estimating 1,000 of their own as dead. The Second Intifada ended on February 8th 2005, when Ariel Sharon and Palestinian President Mahmoud Abbas agreed that all Palestinians everywhere would cease all acts of violence against any Israeli’s, and in return, Israel would cease its military activity against Palestinians everywhere. Now, similar signs are beginning to appear. Demonstrations at the Al-Aqsa Mosque by Palestinian youth throughout the month – in response to allegations that Israel is seeking to divide the Temple Mount – have resulted in Israel’s security cabinet approving a series of measures allowing for greater leeway for Israeli police to open fire on Palestinian protesters. This may only escalate the violence, when accompanied by Israeli airstrikes against Palestinian militants and civilians (accidents, but still viewed as victims of Israeli oppression) in the Gaza Strip and with an increased range of Israeli retaliation to Palestinian protests. Mahmoud Abbas hasn’t done much to alleviate tensions between the two states, instead widely seen as passively supporting the growing insurrection through his threats to not hold to his end of the 1993 Oslo Occords that established the Palestinian Authority (PA) as the “independent” governor of the West Bank and Gaza Strip. In reality, although momentarily halted thanks to Israeli Prime Minister Benjamin Netanyahu, the expansion of Jewish settlements in the West Bank tracing back to the beginning of the occupation have been the source of sour relations between the State of Israel and the PA. 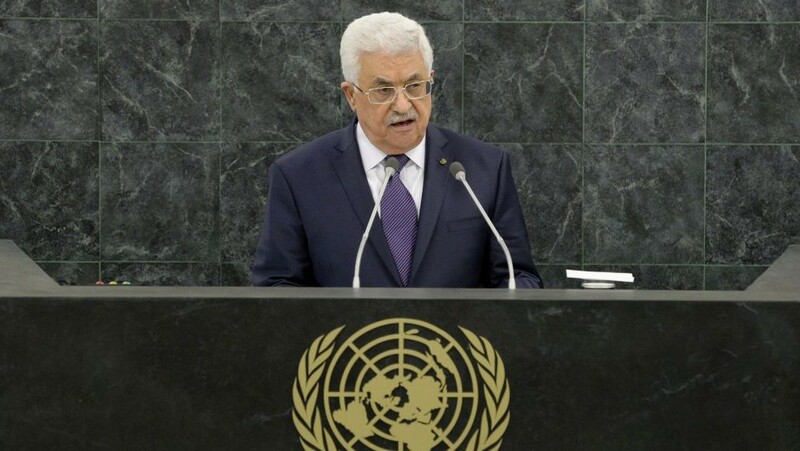 It is for this reason that Mahmoud Abbas has threatened to dissolve the PA and once again return the sole responsibility to govern the West Bank to Israel. Over the course of a month, dozens of Palestinians and Israelis alike have been killed, with hundreds more wounded. 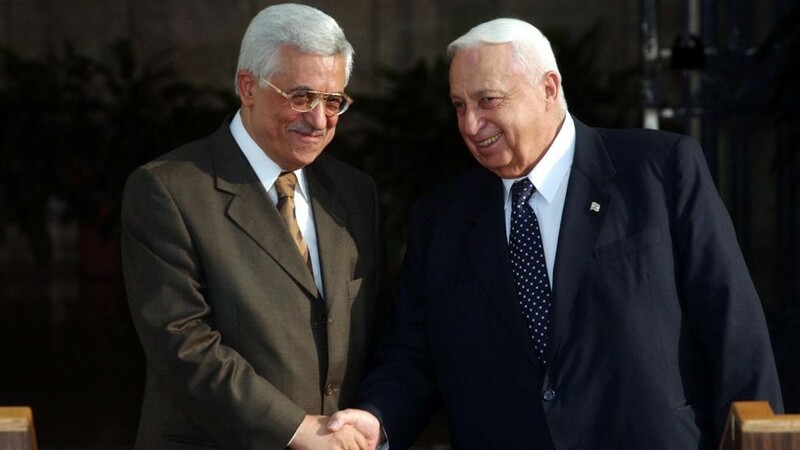 Learning from the past, it is only through the cooperation of the respected leadership on both sides that this forthcoming insurrection can be resolved; Yitzhak Rabin and Yasser Arafat, Ariel Sharon and Mahmoud Abbas, and hopefully Benjamin Netanyahu and, once again, Mahmoud Abbas. The highly publicized visit of the pope includes much more than attending meetings and dinners: he has several visits planned that are directed at the lower classes, who would likely never be invited to such events. His visits include to underprivileged children in a school in East Harlem, to prisoners, to family members of 9/11 victims, and to members of Catholic Charities sewing groups who helped embroider the altar linens for the mass in New York.